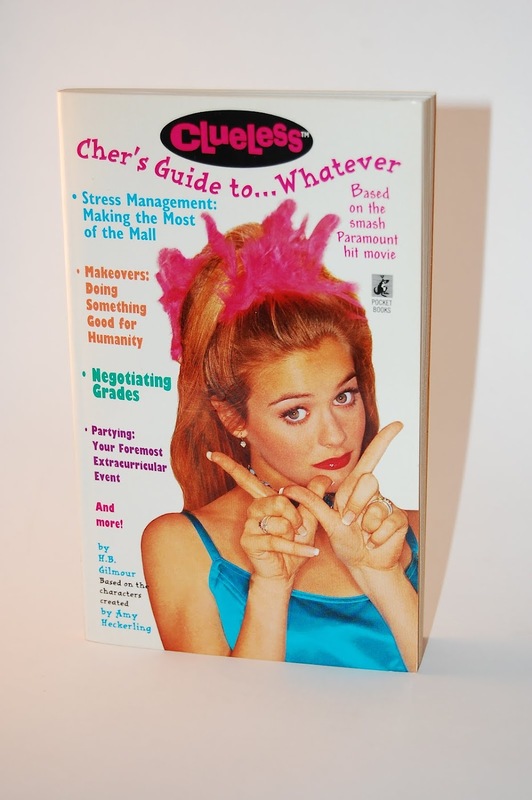 Thingummery: Clueless is a great movie. Clueless is a great movie. I had the pleasure of accidentally stumbling across Clueless on cable a few months ago, something that rarely happens since I almost never deviate from what's on my Tivo. I don't think I'd seen it since it came out back in 1995, but let me just say, it totally holds up. No Jane Austen update/adaptation holds a candle to it (I'm looking at you, Pride & Prejudice & Zombies). Alicia Silverstone? Simply brilliant. Stacey Dash? So gorgeous, why didn't she go anywhere after that? Come to think of it, that was the apex of Alicia's career as well. Brittany Murphy, sigh. R.I.P. Only Paul Rudd has gone on to fame and fortune, though more often as the disaffected friend than adorable love object, which he so totally was as the uptight Mr. Knightley-ish ex-stepbrother Josh. Who knows? If the movie had come out when I was in high school as opposed to when I was 27, I might've dug the book too. Finnish Fridays: Fun with stencils!